A clinical diagnosis of Asthma should be suspected in the presence of recurrent/episodic wheezing, breathlessness, cough and or chest tightness with no alternative explanation for these symptoms. Asthma is a chronic inflammatory disorder of airways which causes hyper-responsiveness of airways and variable airway obstruction. Wherever available, spirometry is recommended for all patients suspected of Asthma for confirmation. Not recommended in routine in Asthma, but in some cases in whom some alternative diagnosis is suspected or complication of Asthma is suspected. Tests for allergy status in Asthma like total IGE, specific IGE to environmental allergens or Skin prick test is not routinely recommended .These tests can be done in specialized centers when specific triggers are suspected. How to Assess Asthma Control ? Asthma control is classified as adequate or inadequate on basis of day do-to-day symptoms, night time symptoms, limitation of activity and on pulmonary function like PEF and FEV!%. Inhaled corticosteroid are controller medication of choice for management of stable Asthma. Most of benefit of ICS are obtained by minimal or moderate doses and only minority of patients need higher doses..
LABA should not be used as monotherapy. Addition of LABA to ICS is a preferred choice when ICS alone are not able to control symptoms. Monotherapy with LTRA is inferior to monotherapy with ICS. can be used as monotherapy in mild asthma, when patient is unwilling to use ICS. LTRA can be added to LABA and ICS if asthma still remain on-controlled. As monotherapy methylxanthine is inferior to ICS, so can be used as add on to ICS and LABA if asthma is uncontrolled. Acute asthma may be nonsevere, severe and life threatening.. 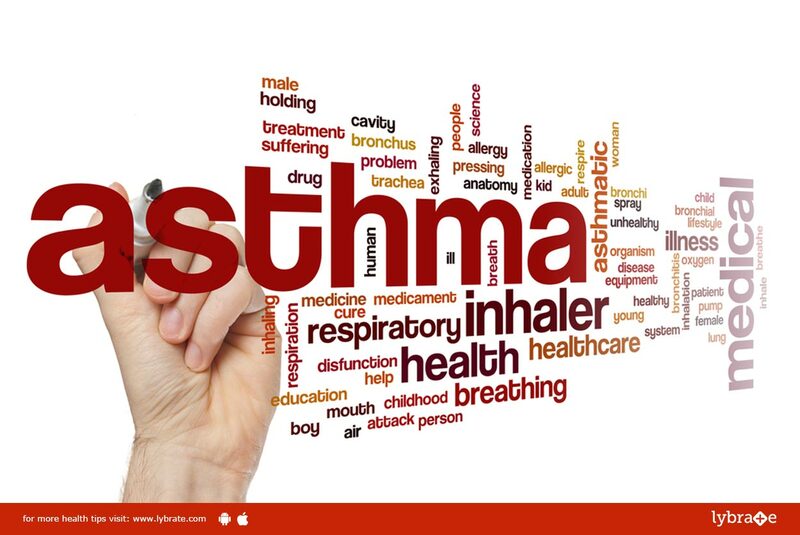 In severe asthma, patient is agitated and unable to complete sentence and life threatening asthma, patient have altered mental status and orthopnea. Severe asthma should be treated in emergency/ ward and life threatening, acute asthma need admission to ICU. Oxygen should be used in hypoxic patient. Rapid acting beta2 agonist (salbutamol) is treatment of choice for acute asthma attack. combination of ipratropium bromide with salbutamol produces better bronchodilation. Systemic Steroid should be used in all patients with severe acute asthma. Optimal self management which involves a combination of patient education, self monitoring, regular physician review, and self management using a written asthma action plan is strongly recommended in management of asthma. PR produces significant improvement in exercise capacity. There is no role of vaccination and antibiotics in asthma.